On 4/20, Ariel Payopay will be introducing a new way for cannabis connoisseurs to celebrate special occasions: Leira’s Cannagars (cannabis cigars). No, we’re not talking about your average Dutch Master blunt—we’re talking about handmade, luxurious cannabis cigars that aren’t made for any old night spent with Netflix and takeout. Each Leira Cannagar burns for 5-6 hours, and the only ingredient is marijuana. The Cannagars are 6” long, filled with 10 grams of flower and 3 grams of rosin oil, all wrapped up in nothing but marijuana leaves. 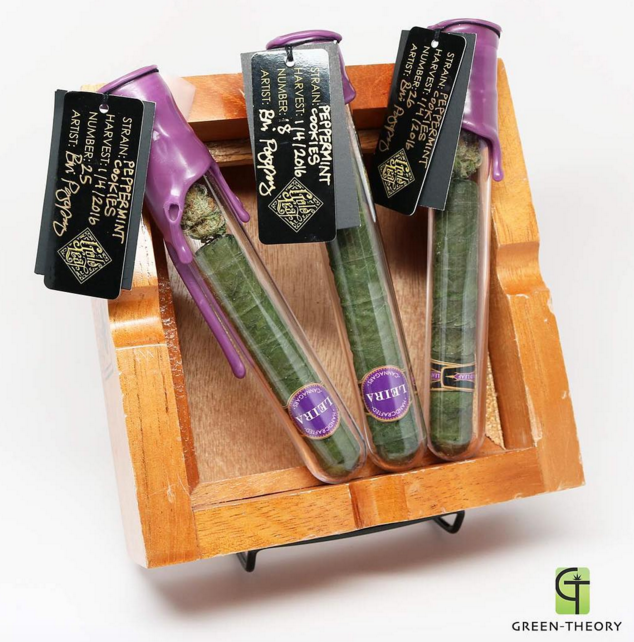 Each Cannagar is packaged in a clear tube sealed with royal purple wax, so as to represent an image of power and wealth. Ariel isn’t the first to invent the cannabis cigar, but he is the first to master it as an art form. When he started making Cannagars, Ariel spent 3-4 hours rolling each one; he now has the process down to an hour, but each cigar still takes over a month to cure. These babies are set to hit the market in Washington state at a steep $200-300 each, but, rest assured, you will be paying for one of the purest, most luxurious cannabis experiences available to date.